Miky Woodz is "EL OG"
Reggaeton artist Miky Woodz isn't taking any time off. After his debut project Before Famous aptly launched him to Latin music fame last summer -- and also launched him onto the Predictions Chart -- the Puerto Rico native is back at it already with his sophomore album, El OG. 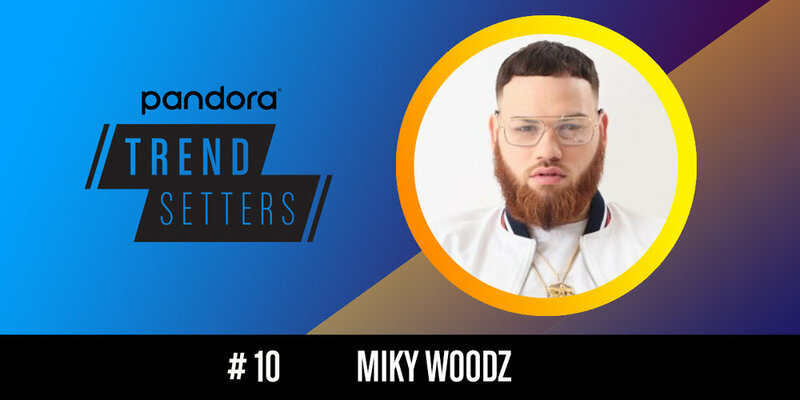 The album made its debut on the Billboard Latin Albums Chart in the top 10, and has helped Woodz see increased activity on Pandora. Month on month, he sees a 20% increase in artist station adds and a 67% uptick in track station adds. British R&B singer Jorja Smith first caught our eyes last summer when she appeared on Drake's More Life playlist and promptly landed on the Predictions Chart. Now, she's catching the eyes of growing number of R&B fans with the release of her critically-acclaimed debut studio album Lost & Found. This week compared to last week, Smith saw a 280% increase in traffic to her Wikipedia page and a 425% uptick in Twitter followers. She's now seeing over 2,700 artist station adds per week on Pandora-- an increase of 125% compared to the previous week.